Montana is very clear about what medical assistants are allowed to do, as well as tasks they are not allowed to perform. This strong regulation gives rise to the fact that medical assistants can perform many tasks that those in other states might not, such as giving injections. Whether medical assistants intend to work in the front office, back office or both, they can find the knowledge and skills needed through programs at Montana medical assisting schools. This guide focuses on what students can expect from education and certification requirements, as well as what they may encounter after graduation. Medical assisting is a growing field, along with the rest of the health care industry. Medical assistants are needed all over the state to help physicians as they work with ever-increasing caseloads in offices, clinics and hospital environments. To earn a degree or certificate in the field, it’s important to do your research and find the program that meets your personal needs and fulfills your professional goals. 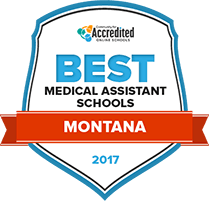 We did some research to compile our list of the 2017 Best Schools for Medical Assisting in Montana. Let this be your first stop to your new career. Flathead Valley Community College has been educating adults who reside in and near the Libby, Montana area since 1967. Adults who want to use their administrative skills to support medical professionals like doctors, nurses and emergency technicians, could obtain the advanced education within the college's Associate of Applied Science in Medical Assisting program to step into entry medical assistant roles. The course load for each semester is equals about 16 hours. Among the semester courses are basic human biology and lab, medical law and ethics and medical assisting clinical procedures. Ambulatory medical facilities and environments are the types of settings that graduates of Great Falls College Montana State University's Associate of Applied Science in Medical Assisting could work in. En route to earning the two year degree, students could complete training for the university's pre-medical assistant certificate. The certificate is a one semester program. The curriculum consist of classes like medical billing fundamentals, medical office procedures, human form and function and procedural coding. Before starting classes, students take the becoming a successful student training. A health science orientation is also required before students start classes. 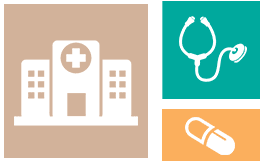 Those who are interested in attending medical assisting schools in Montana can use this search tool to sort through the schools and programs in the state based on location and degrees offered. How does Montana define "medical assistant"? Though Montana does not define medical assistant clearly in the statutes, it does consider medical assistants to be unlicensed personnel who can assist licensed medical providers. The statutes set forth exactly what medical assistants in Montana can and cannot do, as well as rules concerning education. Certification is not required in Montana. However, Montana does require completion of a formal education program, or must possess the proper training and experience, in the opinion of the physician, to complete the tasks they are delegated. Earning certification requires graduation from a formal program, and leaves no doubt that the medical assistant is qualified to handle the tasks delegated by the employer. Is certification available in Montana? While there is not certification specific to Montana, it can be earned through any of the national certifying agencies listed below. The state of Montana strongly encourages a formal education or training program; however, some medical assistants can work without this, assuming that their employer believes they have ample prior training and experience. Are there additional requirements or restrictions? Healthcare providers who were once licensed but have since had their license revoked, surrendered suspended or restricted cannot work as a medical assistant in Montana. What tasks outside the scope of medical assistants in Montana? Montana sets out firm rules for what is not permissible for medical assistants to undertake. The following are prohibited actions for medical assistants. Medical assistants in Montana typically make slightly higher wages than the national average; however, those who reach the 75th percentile tend to make slightly less. The breakdown of salaries is listed below. In some states, the median wages vary widely depending upon the region. Montana, however, tends to pay medical assistants very similar salaries across the state. The chart below goes in-depth with salary expectations throughout the state. Statewide, medical assistants can expect to see an additional 30 jobs opening up each year between 2012 and 2022, according to Projections Central. A further breakdown of employment trends can be seen in the chart below. As of early 2016, medical assistant students in Montana have two accredited schools to choose from, though it's best to do additional research to see if other programs come to the state. These schools are described in detail below. In addition to being qualified to become a certified medical assistant, graduates from the Flathead Valley Community College can also become certified in phlebotomy. The medical assisting associate degree can be earned in two years after taking five semesters worth of classes, totaling 65 credits. In addition to learning front office and back office skills while enrolled in the medical assisting program, students will take several general education courses to obtain a well-rounded degree. Students can achieve their associate degree in medical assisting in two years, after completing about 66 credits. After graduating, students should be ready to take the exam to become certified medical assistants. This spells out the specific regulations concerning the scope of practice of medical assistants in the state of Montana, including tasks that can be performed under the supervision of a physician. Medical assistants practicing in Montana have the Montana Society of Medical Assistants affiliate of the AAMA to help them advance their professional career and promote the Certified Medical Assistant certification.